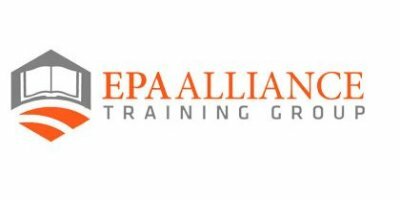 The EPA Alliance Training Group (EPA Alliance) is your source for reliable Environmental Training. We are a small, veteran-owned business, formed to provide environmental regulatory training to environmental, health and safety professionals across numerous industries. We provide immediate, accurate and cost-effective environmental training, through numerous platforms such as Online Training, Private Training and Public Training. We instruct and deliver the nationally recognized, Environmental Bootcamp and other comprehensive and engaging training seminars in Air, Water, Waste, and ISO 14001 EMS topics for all industries and government. The EPA Alliance Training Group and/or Baxter Communications Group is not affiliated with the U.S. Environmental Protection Agency (EPA). The EPA Alliance Training Group is Your Source for Environmental Training. The EPA Alliance Training Group (EPA Alliance) was formed by Baxter Communications Group to provide reliable and cost-effective environmental training throughout numerous industries and government. Our goal is to provide students and industry professionals with the skills and knowledge that enable them to be successful in their day-to-day operations as environmental, health and safety professionals. Some of the EPA Alliance most popular classes include: The Environmental bootcamp or sometimes called the 'Environmental Awareness Bootcamp' or 'Environmental Compliance Bootcamp'; the SPCC & Stormwater Workshop, the Clean Air Compliance Workshop, the NEPA Compliance Workshop, RCRA Compliance Workshop and many more. The EPA Alliance Training Group and/or Baxter Communications Group is not affiliated with the U.S. Environmental Protection Agency (EPA). Our onsite private environmental, health and safety training programs are customized to fit your organization's needs and operations. We provide a face-to-face interaction between the trainer and your employees through live instruction and engaging presentations. We will work with you to customize an agenda that will integrate your organization's industry standards, environmental plans, and operations to ensure your audience will take with them the knowledge needed during their day-to-day operations as environmental, health and safety professionals. General 'off-the-shelf' courses can also be delivered to your employees/members if requested. Our on-demand and interactive online environmental training courses in Air, Water and Waste regulatory topics are designed by subject matter experts to be both engaging and informative. The EPA Alliance Community Forum is an environmental forum and social site for environmental, health and safety professionals. This forum was built for EH&S professionals to privately share information and resources, to start discussions on numerous environmental topics, and get answers to environmental challenges in the workplace from other members, including our highly recognized speakers. Hundreds of attendees from 500+ companies and organizations all over the U.S., Canada and even South America take advantage of our course offerings each year. These companies and organizations should be recognized as going above and beyond the regulatory requirements for environmental training; spending their time and money to learn how to keep in compliance with environmental regulations and better our environment and community. Thank you to all those who have supported our programs! We appreciate your business and look forward to seeing you again in the future. Here are just some of our clients and customers who rely on the EPA Alliance Training Group. Interested in teaming together for a business opportunity? Many procurement offers and bids, public or private, may have deliverables that require more than one company's expertise or experience. We are always looking to develop relationships with companies that complement and enhance our broad range of services to meet specific bid requirements. EPA Alliance will entertain solicitations in which we can team and contribute, that best meet our strategic, business, and technical requirements. EPA Alliance is fast becoming the nation's premier environmental training firm.